Welcome! I write mysteries about people caught up in crimes who pursue justice, armed with quick thinking and courage. My Five-Ingredient Mysteries feature a café manager who solves murders with her live-wire grandfather in a historic Chesapeake Bay town. 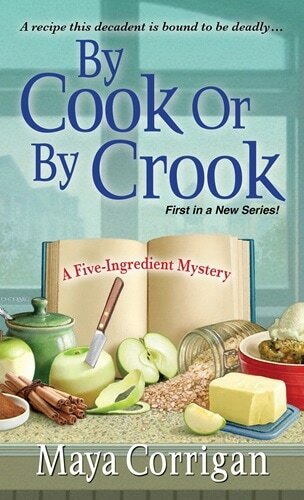 Each book has five suspects, five clues, and Granddad's five-ingredient recipes. Read more about the books below. 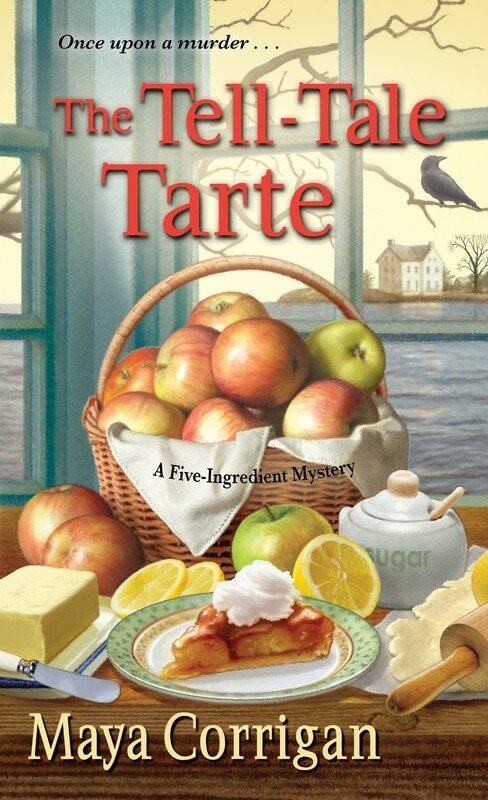 The Tell-Tale Tarte (Five-Ingredient Mystery #4) is an American Library Association Book Club Central pick for November. 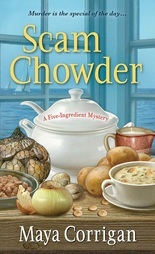 Even if you don't belong to a book club, culinary mysteries make great holiday reading and gifts. While visiting my site, you can explore . . .
~ book club discussion questions. Subscribe to my newsletter to find out about contests, giveaways, and sales. ​​Haunted by the car accident that ended her career as a cookbook publicist, Val Deniston has left New York City for a quieter life near the Chesapeake Bay. She now lives with her curmudgeonly grandfather in the tourist town of Bayport and enjoys running the Cool Down Café at the fitness club. When a club patron is murdered, Val whips us a scheme to find the killer. While she investigates, Granddad takes up cooking, creating havoc in the kitchen. But kitchen disasters are the least of Val's problems when a murderer targets her. ​​​​​Read more about By Cook or by Crook. Buy from Kensington Books, Amazon, Barnes & Noble, Walmart, or a local bookstore through Indie Bound. ​Read more about Scam Chowder. Order from Kensington Books, Amazon, Barnes & Noble, Walmart, or find a nearby bookstore on Indie Bound. 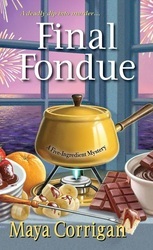 ​As Val helps her grandfather prepare for houseguests, visitors to Bayport’s Tricentennial Festival, he reminisces about the fondue parties of the 1970s, hauls down a fondue pot from the attic, and makes chocolate fondue to greet his guests. One guest eats her final fondue that night. In the dark the murderer might have mistaken her for another houseguest or even for Val. When a fondue fork and a kitchen knife disappear, Val and Granddad team up to keep the killer from making another stab at murder. ​Read more about Final Fondue. Order from Kensington Books, Amazon, Barnes & Noble, or Indie Bound. ​Val fears for her grandfather’s life when an actor famed for his Poe one-man show is murdered while dressed and made up to look like Granddad. She soon learns the actor isn’t the only one doing an impersonation. The search for his murderer takes Val and Granddad to the home of a Poe-inspired author, Rick Usher. When they are stranded at the "House of Usher" by an ice storm, they uncover clues to the murder, but will they live to tell the tale? ​Read more about The Tell-Tale Tarte. Order from Kensington Books, Amazon, Barnes & Noble, BAM, Hudson Booksellers, or Indie Bound. ​As warm April weather brings boaters to the Chesapeake Bay, Val agrees to cater a dinner party aboard a yacht. Its owner, a collector of Titanic memorabilia, asks her to re-create the final meal served on that doomed ship. On the anniversary of the Titanic’s sinking, the yachtsman welcomes his guests aboard and assigns them roles in a murder mystery game. Val soon reaches the chilling conclusion that the host is fishing for the culprit in a real crime. 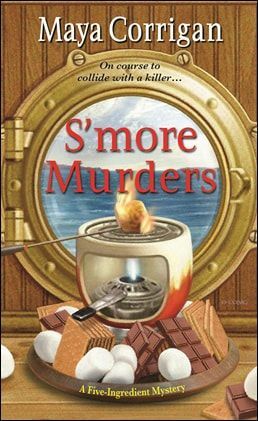 When someone disappears from the boat, Val has to reel in a killer before s’more murders go down. Read more about the last dinner on the Titanic and S'more Murders. Order from Barnes and Noble, Amazon, Kensington, Indie Bound, Hudson, BAM.